132 Cheyenne Junior High and High School students along with sponsors picked up trash, washed windows, swept sidewalks and painted the Cheyenne business community last Wednesday. 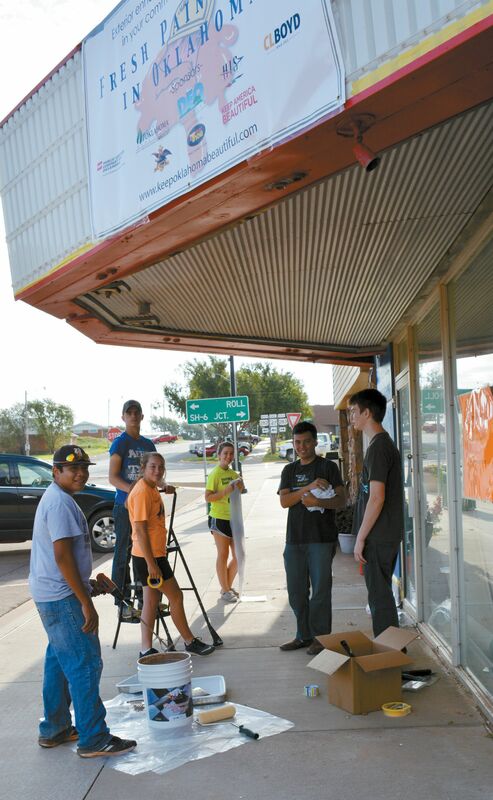 BPA members also painted and cleaned up around the Rook Theater as part of the “Fresh Paint in Oklahoma” program. It was a great way for the students to take pride in our community. PreviousPioneer Day a Huge Success!